six types of relationships that involve a requirement on at least one end of the association. The figure below shows the SysML stereotyped classifier model element for a requirement. In SysML, a requirement has two properties: a unique “id” and a free form “text” field. 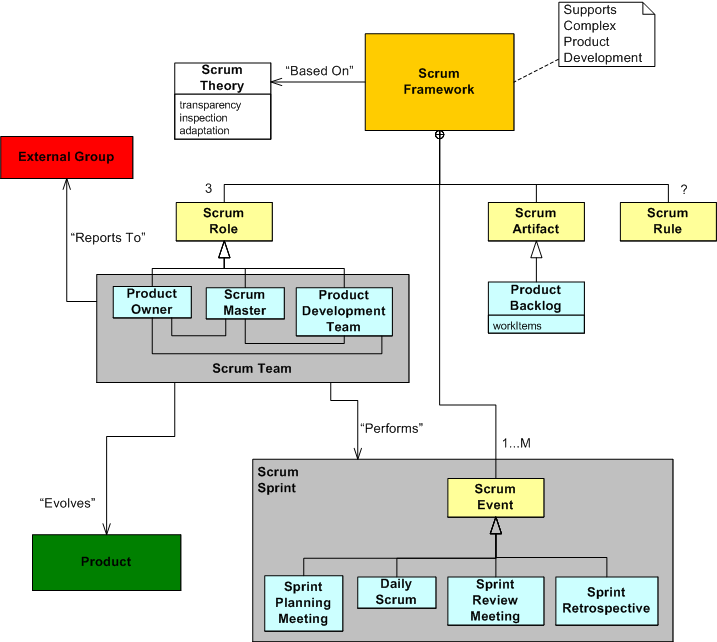 Note that the example on the right models a “non-functional” requirement – something a use case diagram wasn’t intended to capture easily. One purpose for capturing requirements in a graphic “box” symbol is so that inter-box relationships can be viewed in various logically “chunked“, 2-dimensional views – a capability that most linear, text-based requirements management tools are not at all good at. A SysML requirement modeling element must appear on at least one side of these relationships with the exception of <<derivReqt>> and <<copy>>, which both need a requirement on both sides of the connection. Rather than try to write down semi-formal definitions for each relationship in isolation, I’m gonna punt and just show them in an example requirement diagram in the next section. 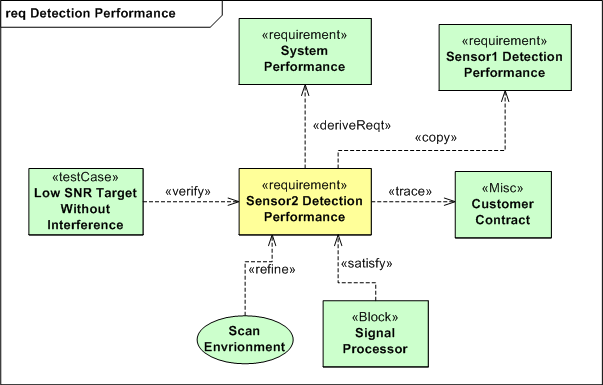 The figure below shows all six requirement relationships in action on one requirement diagram. Since I’ve spent too much time on this post already (a.k.a. I’m lazy) and one of the goals of SysML (and other graphical modeling languages) is to replace lots of linear words with 2D figures that convey more meaning than a rambling 1D text description, I’m not going to walk through the details. So, as Linda Richman says, “tawk amongst yawselves“. 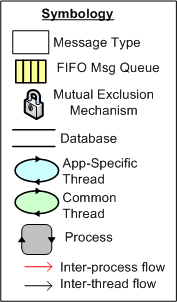 To better communicate an understanding of multi-threaded, multi-process systems, I’ve created my own graphical “proprietary” (a.k.a. homegrown) symbology. I call it the MML (UML profile). Here is the MML symbol set. 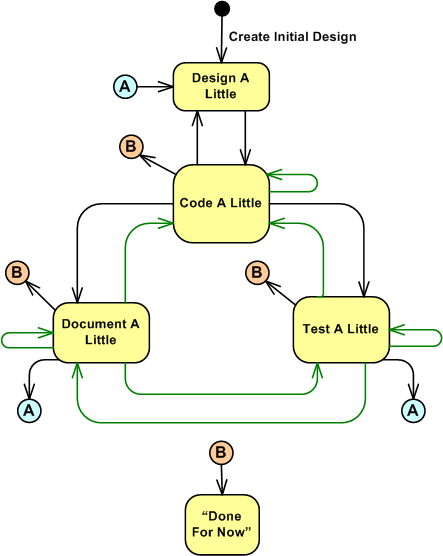 An example MML diagram of a design that I’m working on is shown below. The app-specific modeling element names have been given un-descriptive names like ATx, APx, DBx, Mx for obvious reasons. 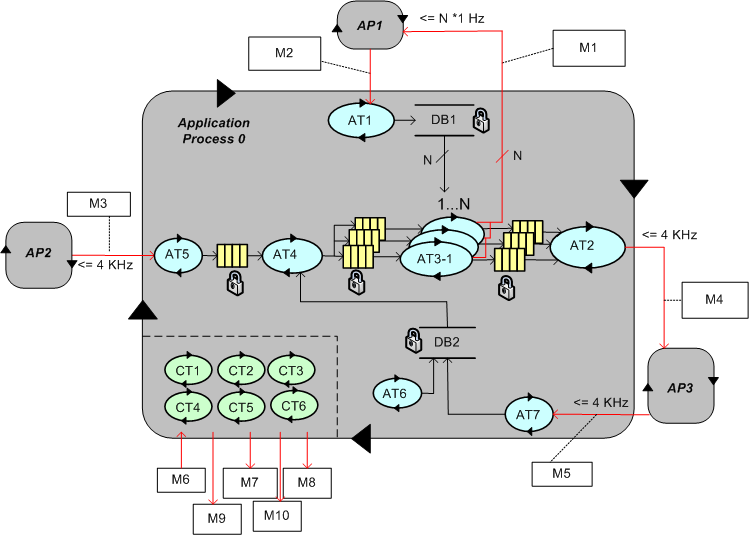 Compare this model with the equivalent rectangular UML diagram below. I purposely didn’t use color and made sure it was bland so that you’d answer the following question the way I want you to. Which do you think is more expressive and makes for a better communication and reasoning tool? For informal, rapid, and iterative design modeling and intra-team communication, I use the freely downloadable and unconstraining UML and SysML stencil plugins for visio. These handy little stencils are available here: Visio UML and SysML stencils homepage. 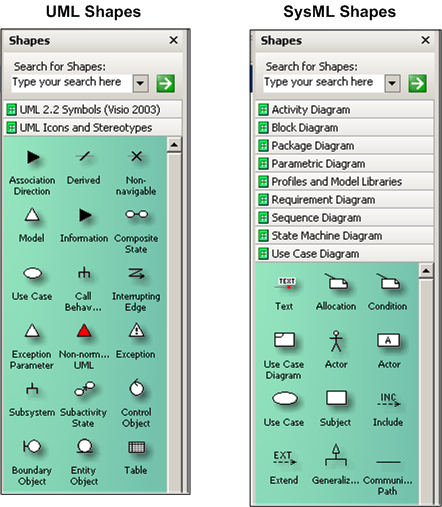 When installed and opened, the shapes window may look like the figure below. Of course, you can control which shapes sub-windows you’d like to display and use within a document via the file->shapes menu selection. 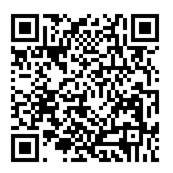 Open all 11 of them if you’d like! If you compare the contents of the two sets of shape stencils, since UML is a subset and extension of UML you’ll unsurprisingly find a lot of overlap in the smart symbol sets. Note that unlike the two UML stencils, the set of nine SysML stencils are “SysML Diagram” oriented. 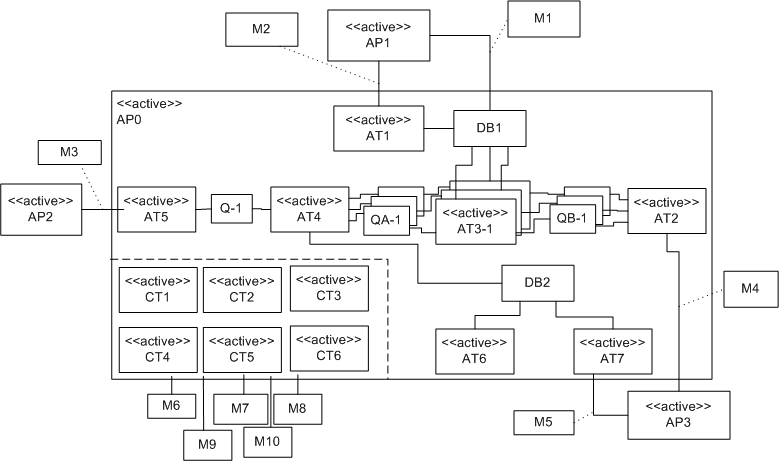 Because of this diagram-centric decomposition, I find myself using the SysML stencils more than the UML stencils. To use the stencils, you just grab, drag, and drop symbols onto the canvas; tying them together with various connector symbols. Of course, each symbol is “smart”, so right-clicking on a shape triggers a context sensitive menu that gives you finer control over the attributes and display properties of the shape. If you don’t want to open the stencils manually, you can create either a new SysML or UML document from the templates that are co-installed with the stencils (file->new->choose drawing type->SysML). In this case, either the 2 UML stencils, or all 9 SysML stencils are auto-opened when the first page of the new document is created and displayed. I often use the multi-page feature of visio to create a set of associated behavior and structure diagrams for the design that I’m working on, or to reverse-engineer a section of undecipherable code that I’m struggling to understand. If you’re a visio user and you’re looking to learn UML and/or SysML, I think experimenting with these stencils is a much better learning alternative than using one of the big, formal, and more hand-cuffing tools like Artisan Studio or Sparx Enterprise Architect. You can “Bend it like Fowler” much more easily with the visio stencils approach and not get frustrated as often. Since I’ve noticed that my ICONIX SysML training preview post has received quite a few hits over the past several months and I haven’t written a followup post, I decided that now is the time to do it. Only the last (not first) one third of the class handout covered the SysML diagrams and symbolology while the first two thirds covered UML, albeit in a subserviant role to the ICONIX process. Although the examples in the handout material were all geared toward database-centric business transaction systems, but my company is in the business of building real-time sensor systems, the teachers facilitated the real time development of a set of use cases, robustness diagrams, and class diagrams for the sensor project we were kicking off. It was a worthwhile team building experience and it surfaced a boatload of ambiguities and misunderstandings between team members. The teachers were skilled facilitators and they did a great job keeping things moving briskly while remaining in the background and not dominating the working sessions. JumpStart Training is not a class for uncommitted students or uneasy beginners. Because of the rapid-learning atmosphere, JumpStart Training is ideal for those looking for an intense and highly-focused training course which will get the project up and running, fast! I’m grateful for the opportunity and excited to attend the course because I’m a big fan of both the UML and its SysML profile. Over the past several years, I’ve been teaching myself at a leisurely pace how to apply these two increasingly important technologies to the software design and specification work that I do. Because of the powerful and sprawling nature of the UML family, unless you’re an Einsteinian genius, it’s my uncredentialed opinion that you can’t learn UML or SysML overnight. The symbology, syntax, and semantics of the languages are rich and necessarily complex because they’re designed to tackle big hairball software-centric systems problems. Based on my personal experience, I don’t think very many people can acquire a deep understanding of the UML’s 13 diagrams or SysML’s 9 diagrams in 5 days, but you gotta start somewhere and formal training is a good start. We’ll see how it goes. While surfing the ICONIX web site, I stumbled upon this “MDG Technology For DDS” page (MDG = Model Driven Generation, DDS = Data Distribution Service). Interestingly, there seems to be no equivalent “MDG Technology For CORBA” page on the ICONIX web site. It’s interesting because I’m currently fighting a CORBA vs DDS battle in house. It’s even more interesting in that this InformIT author page states that Doug Rosenberg has previously developed and taught a CORBA class. I’ll be sure to ask Doug about this anomaly when I meet him.